American novelist, playwright, and social critic who gained popularity with satirical novels. 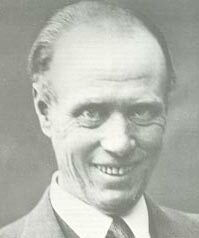 Sinclair Lewis won the Nobel Prize for Literature in 1930, the first given to American. His total output includes 22 novels and three plays. Though Lewis criticized at times the American way of living, his basic view of the "American human comedy" was optimistic. Harry Sinclair Lewis was born in Sauk Centre, a prairie village in the heart of Minnesota, as the third son of a country doctor. Lewis started to write and keep a diary early in his youth; he produced romantic poetry, and stories about knights and fair ladies. Before 1921 he had already published six novels. In 1902 Lewis entered Yale University and started to contribute the Yale Literary Magazine. He received his M.A. in 1908 and worked for publishing houses and various magazines in Iowa, Carmel, San Francisco, Washington D.C. and New York City. Lewis's first published book was "Hike and the Aeroplane", which appeared in 1912. The next book, "Our Mr. Wrenn" (1914) presented a hero, who is innocent, naive, and dreams of adventures and who after travels abroad returns to his normal idyllic life. Similar characters populate Lewis's further novels, among them Carol Kennicott from the novel "Main Street" (1920). After publishing two novels, Lewis devoted himself entirely to writing. He gained fame with "Main Street", a study of idealism and reality in a narrow-minded small-town. Lewis claimed that "Main Street" was read "with the same masochistic pleasure that one has in sucking an aching tooth." Lewis's next novel, "Babbitt" (1922), was a merciless portrait of a Midwestern businessmen. Sherwood Anderson saw Lewis's prose as a "dreary ocean" but "in "Babbitt" there are moments when the people of whom he writes, with such amazing attention to the outer details of lives, begin to think and feel a little, and with the coming of life into his people a kind of nervous, hurried beauty and life flits, like a lantern carried by a night watchman past the window of a factory as one stands waiting and watching in a grim street on a night of December." "Arrowsmith" (1925) depicted the life of a doctor, Martin Arrowsmith, who is caught between his idealism and commercialism. With the scientific aspects of the book Lewis collaborated with Dr. Paul De Kruif. Later Lewis confessed: "I am indebted not only for most of the bacteriological and medical material in this tale but equally for his suggestions in the planning of the fable itself-for his realization of the characters as living people, for his philosophy as a scientist." In the following works Lewis often used experts for technical advice, like Emile Zola had done in France. John Ford's film version of "Arrowsmith" from 1931 was faithful to the novel's themes, but Ford made the Midwestern doctor more pompous than Lewis intended. "Elmer Gantry" (1927) was an attack on the hypocritical ministers, written with angry, sparkling style. The book added a swindler after an idealist and a businessman into Lewis's great portrayals of basic American characters. "Ann Vickers" (1933) examined the corruption of social services. Its idealistic heroine experiences humiliations in love but finally finds a man, with whom she can share her life. During the 1930s Lewis devoted considerable attention to the theater. His last major work, "It Can't Happen Here" (1935), portrayed a fascist coup d'etat in America. In the next decade Lewis's writing habits remained unchanged: he wrote his book in a month and then did everything else until he was ready to start another one. He loved beautiful surroundings, he had a handsome old house in Williamstown, Massachusetts, he lived in the best hotels in America and Europe, and in Florence he leased a grandiose Mussolini-style villa. Although Lewis continued to publish books at regular rate for the next twenty years, only occasionally did his novels capture large audiences. Lewis spent his final years in Europe and died in Rome on January 10, 1951. His last novel, "World So Wide" was published posthumously.